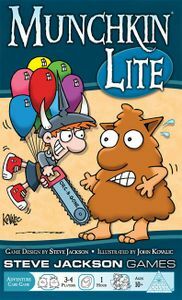 New Releases from Steve Jackson Games! You can’t find your way to the Dia de los Muertos celebration! Luckily the Muertoons say they can show you the way, but grumpy Tio Rico hates the noise and lights of Dia de los Muertos and is making things difficult. Play the numbered cards in the right order; the first person to discard all their cards leads their friends to the Dia de los Muertos celebration! 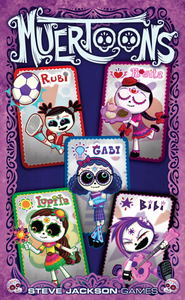 Based on the popular kid’s show, Muertoons Mix-Up shows you the way to the Dia de los Muertos celebration, all with the help of Rosita, Bibi, Rubi, Lupita, and Gabi. With simple rules and colorful art from the show, Muertoons is sure to please little ones. Previous story September Calendars are up!